These are for servicing, repair and storage aircrafts. They may be located on one side of terminal building. 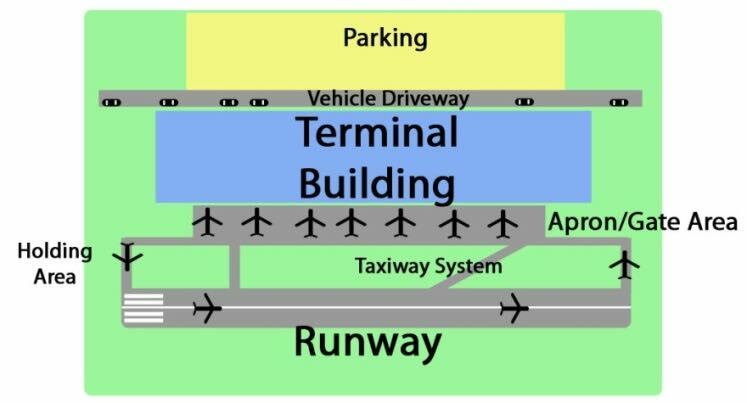 It is a space allotted to an aircraft for parking at a loading apron. It is a paved long and narrow rectangular strip which is actually used for landing and take off of aeroplanes.